Ingredient Talc, Sodium Myristate, Potassium Myristate, Sodium Laurate, Potassium Laurate, Sodium Palmitate, Potassium Palmitate, Lauric Acid, Water (Aqua), Angelica Acutiloba Root Extract, Coix Lacryma-Jobi (Job’s Tears) Seed Extract, Paeonia Albiflora Root Extract, Perilla Ocymoides Leaf Extract, Polyphosphorylcholine Glycol Acrylate, Alcohol, Butylene Glycol, Glycerin, Methyparaben, Fragrance (Parfum). Wet face and hands. Pour out 20-cent coin size of powder and add water to lather. Work lather on face and rinse off. 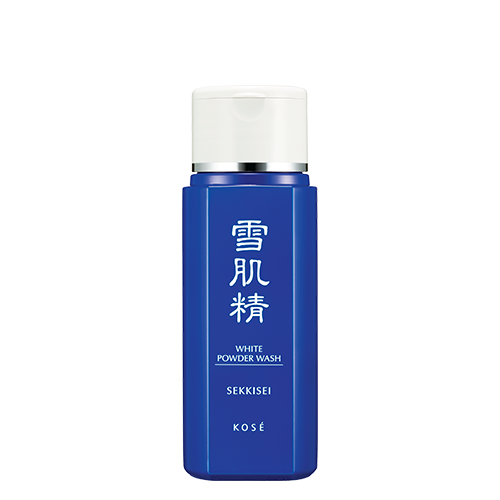 Snow-like powder that delivers highly gentle washing with a rich, creamy lather to create bright, translucent skin. Texture: Fine, pure white powder wash that instantly foams into a luxurious lather.